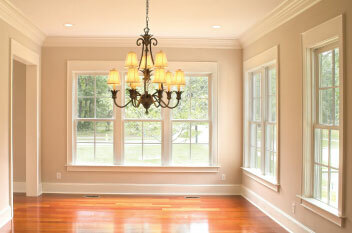 Double hung windows are the most traditional style of window design. 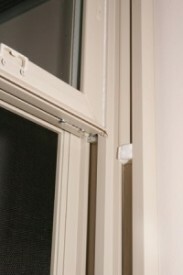 Since both sashes on the double hung windows are able to tilt in, they are very easy to clean from the inside or out. A constant force balance makes them very smooth and easy to operate. Our Double-hung 360 series windows have fusion welded frames and fiberglass reinforcements for added strength and durability. 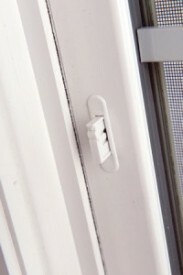 This classic design and excellent construction will keep your windows looking and operating great for years to come. New replacement windows can be a beautiful addition, while adding value to your home and helping you save money by increasing your home’s heating & cooling efficiency. Our double hung windows are constructed from vinyl frames with Low-E glass which allow them to better control heat loss. The vinyl frame forms a better seal that prevents heat loss through leakage and the Low-E glass strips the heat from waves of sunlight to prevent extra heat from entering a home. Tilt-in window for easy inside cleaning. Vents limit opening of bottom sash. Foam blocks reduce air infiltration. See how affordable professional window installation can be!